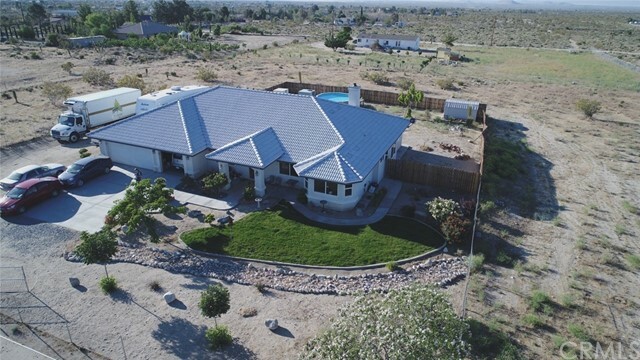 All Pinon Hills homes currently listed for sale in Pinon Hills as of 04/21/2019 are shown below. You can change the search criteria at any time by pressing the 'Change Search' button below. "BREATHTAKING! 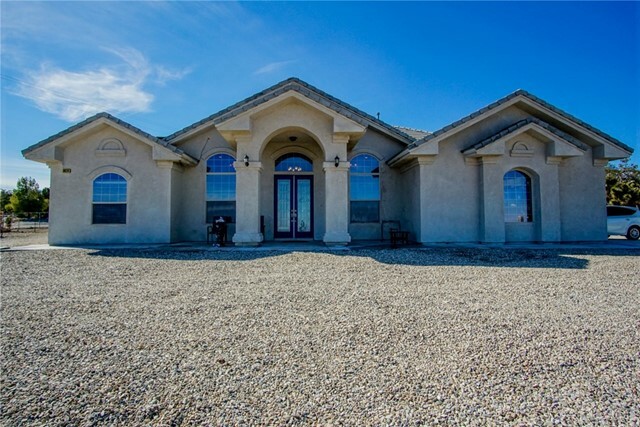 COME SEE THIS FABULOUS ESTATE! 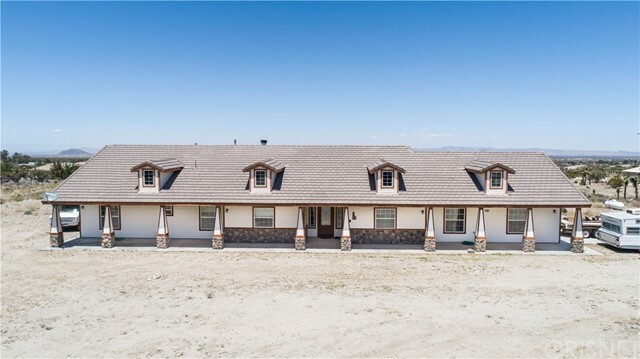 This custom built ranch style home is STUNNING and features a 2,614 square foot home with 4 bedrooms, 3 baths, and a 3 car garage situated on 2.17 acres located ideally close to Highway 138. 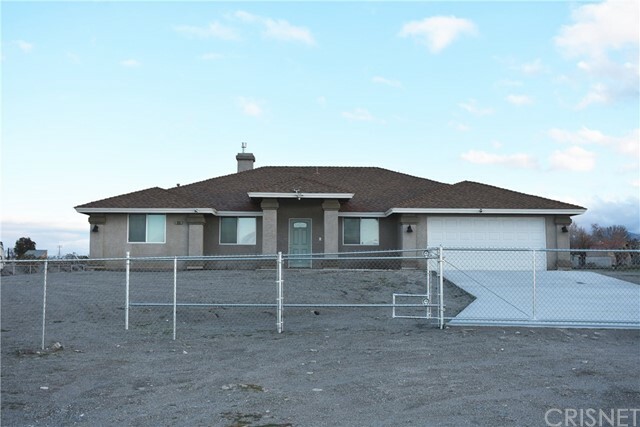 The property is meticulously landscaped reflecting desert living at its finest. IMAGINE THIS AS YOUR HOME featuring the beautiful front entry door and see this open floor plan that shows you your dining room, opening into your kitchen and living room/family room w"
"Snuggle up in front of your wood burning stove in the winter in this beautiful home that sits at an elevation of @4200 feet so you get an amazing view of the mountains from your back patio and the Victor Valley from the front. Go outside after dark and look at the millions of stars. Vaulted ceilings in the great room and kitchen. The kitchen has a large ceramic tiled counter space and a walk-in pantry, with an arched entry into the formal dining room. The Master bedroom has an arched entry to th"
"HUGE PRICE REDUCTION!!! MOTIVATED SELLERS!!! 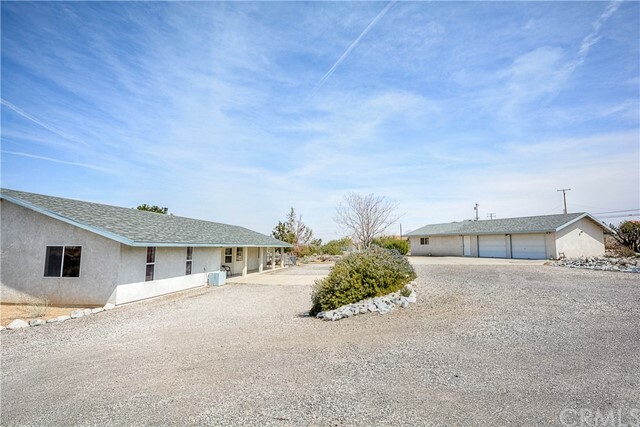 Life you always dreamed it would be, with this enchanting 2 Bedrooms, 2 Bath, with 2 Extra Bonus Rooms & indoor laundry room (extra 540 sq ft not premitted), Log Home. 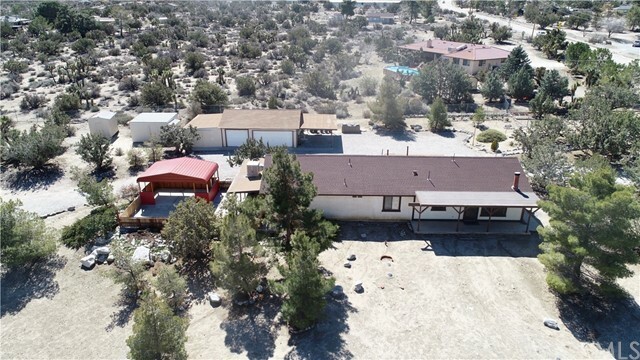 2.5 acres completely fenced & crossed fenced, with 3 gates (opens to 48ft), you will penty of room for 'toys', RV, gardening, horses, & more. 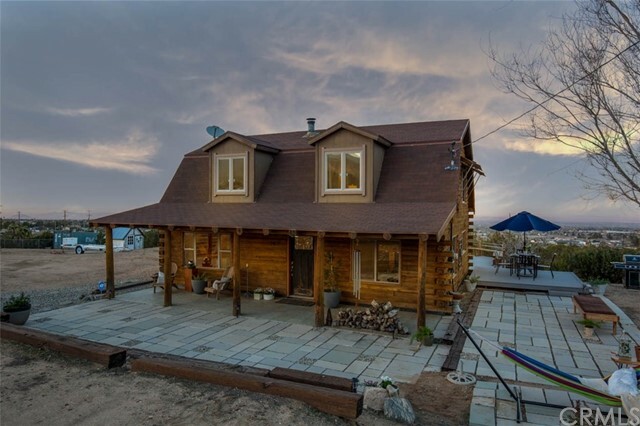 High Beam Ceilings, 2 Fireplaces, & 2 Wood Burners, give this home a warm & inviting feeling. Master Bedroom is the entire top floor loft, includ"